on Saturday, January 12, 2019. The Perry Initiative is committed to promoting the advancement of women in orthopaedic surgery and engineering through mentorship, strategic research, and community outreach. Named in honor of Dr. Jacquelin Perry, the first woman to graduate from the University of California San Francisco Orthopaedic Surgery Residency Program, the Perry Foundation was founded in 2009 by UCSF's Dr. Lisa Lattanza (an orthopaedic surgeon) and Dr. Jenni Buckley (a mechanical engineer). 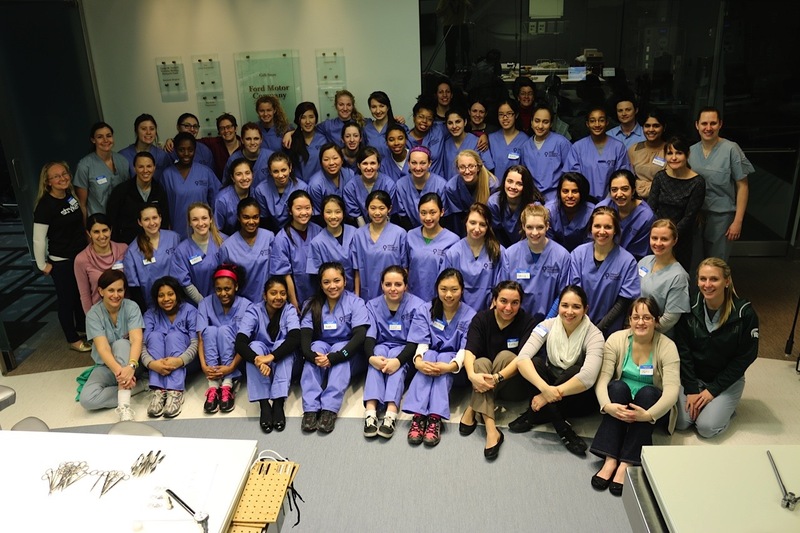 The Perry Outreach Program (POP), a mentoring program for high school aged women designed to encourage them to pursue careers as orthopaedic surgeons and engineers, began in 2009 in just a few cities. Since 2011, almost 400 young women from local high schools have participated in our Beaumont Perry Outreach Program. This course, held at Beaumont's Applebaum Surgical Learning Institute, is an all day course about orthopaedic surgery and orthopaedic research. 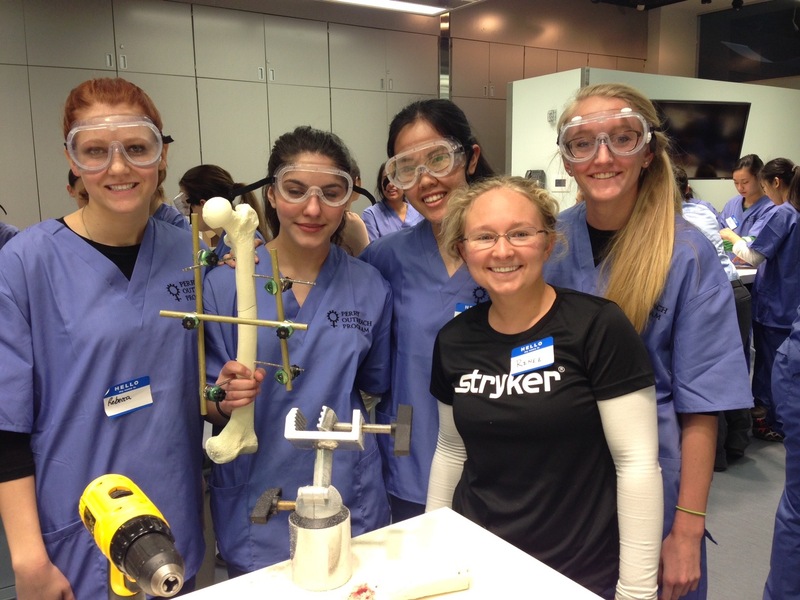 Women orthopaedic surgeons and trainees as well as women engineers involved in orthopaedic research speak and guide the students through six modules simulating orthopaedic surgical experiences. Some information can be found in this article about our 2015 Perry Program. Some of our Perry Outreach Program alumnae have joined the Beaumont Orthopaedic Research Laboratory...see here! In 2015, we offered the second Undergraduate Student Outreach Program in the country! Women currently enrolled in STEM programs at local universities came to the Surgical Learning Institute for a similar experience. We also were joined by ten women engineers from Stryker, a corporation known for orthopaedic technology and that generously contributes to our programs. In 2016, we hosted our first Medical Student Outreach Programs (MSOP). MSOP is a similar program geared towards women medical students interested in learning about orthopaedic surgery as a potential career. The demand to participate in Perry Outreach Programs has been high! We are fortunate to have wonderful sponsors and a fantastic setting, so we have expanded our program offerings since 2016! Admissions decisions are made through the central Perry Initiative office, and high school students and medical students are encouraged to apply for the appropriate program! For further information, visit www.perryinitiative.org.